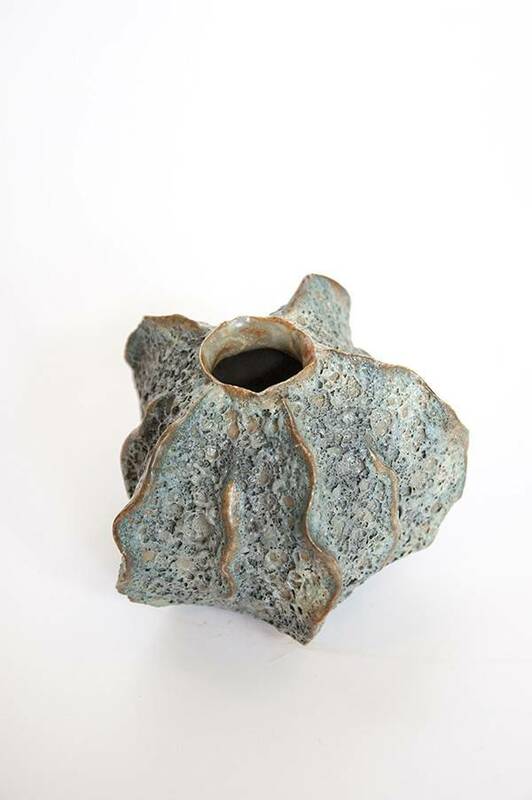 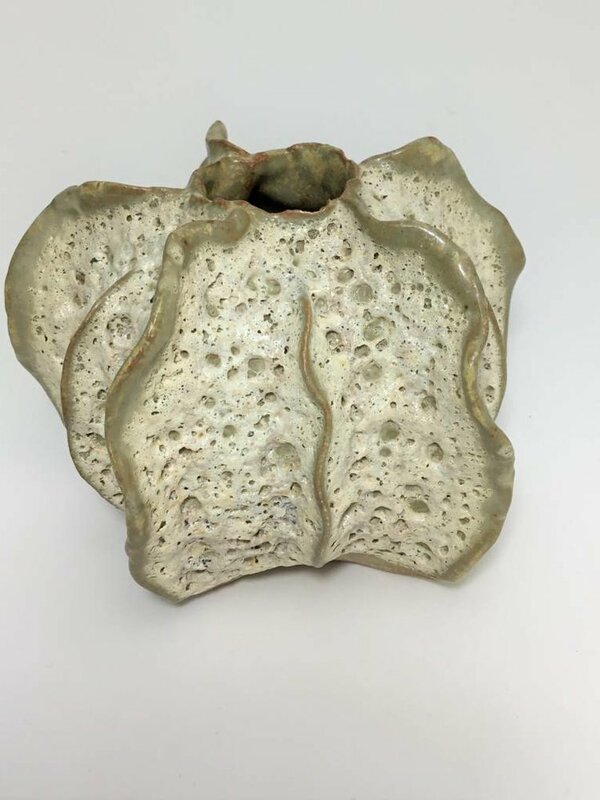 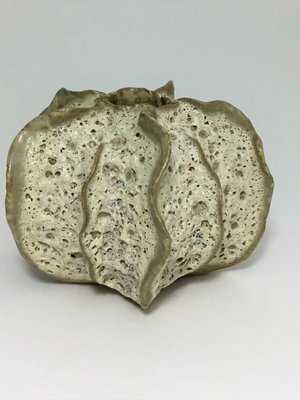 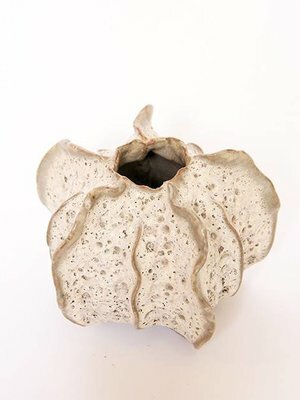 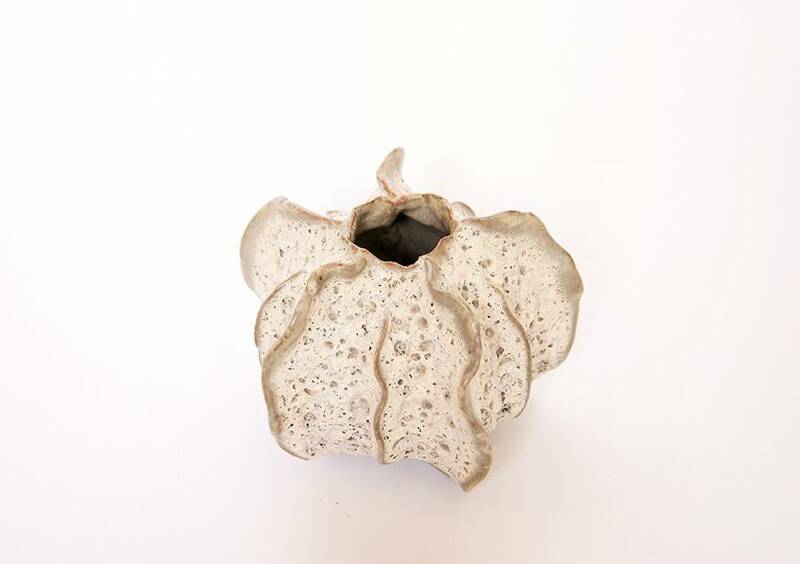 Small organic bud vase in a neutral sand color. 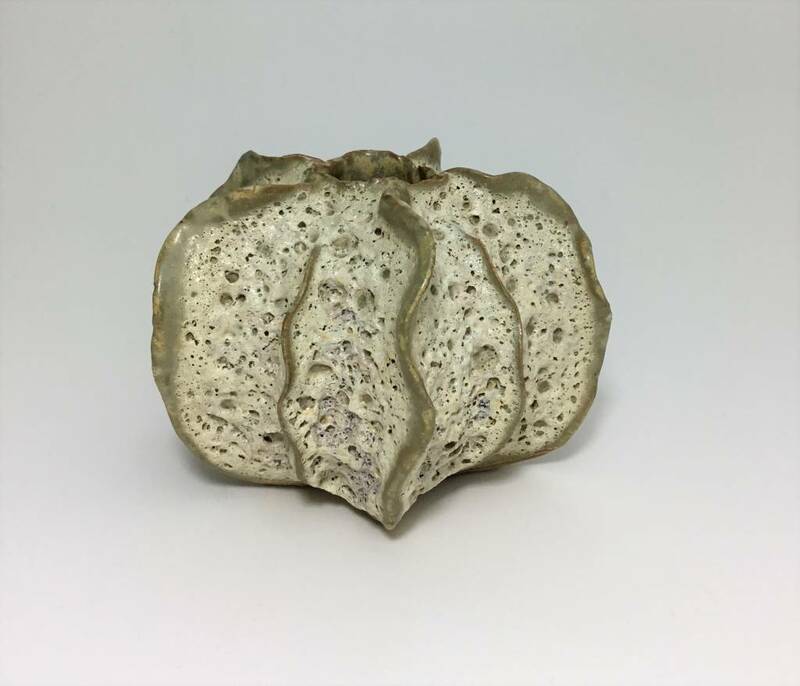 This decorative object measures approximately 4" wide by 4" tall. 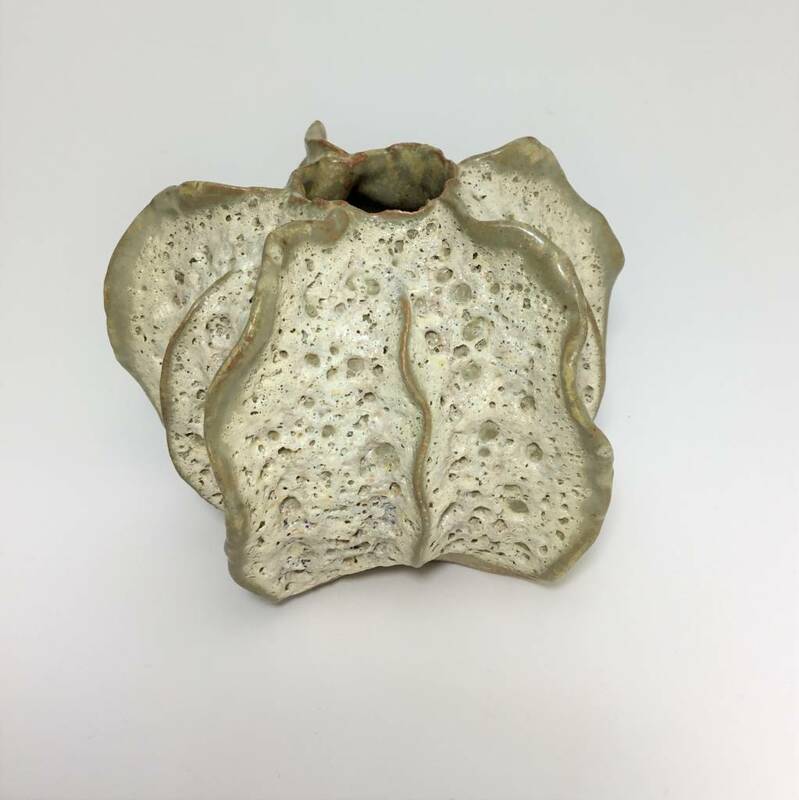 Perfect to display alone or in a grouping. These vases fit in perfectly in a bathroom, kitchen or just about anyplace.